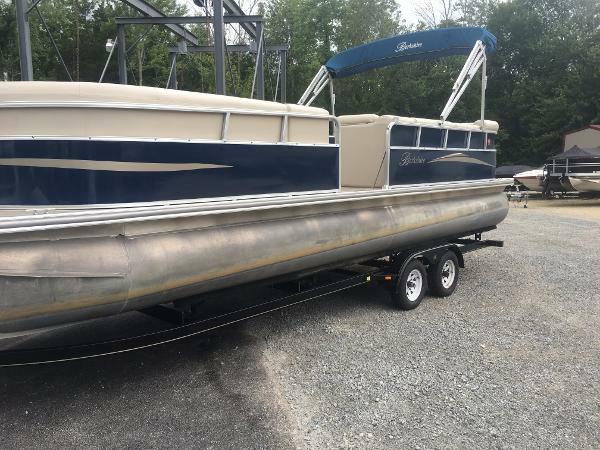 2016 Berkshire 233RFX STS Arch 2016 Berkshire 233 RFX STS Arch- Burgundy W/ Suzuki 250hp SS 4-Stroke Please call or email for all options on boat as pictures are reference only. 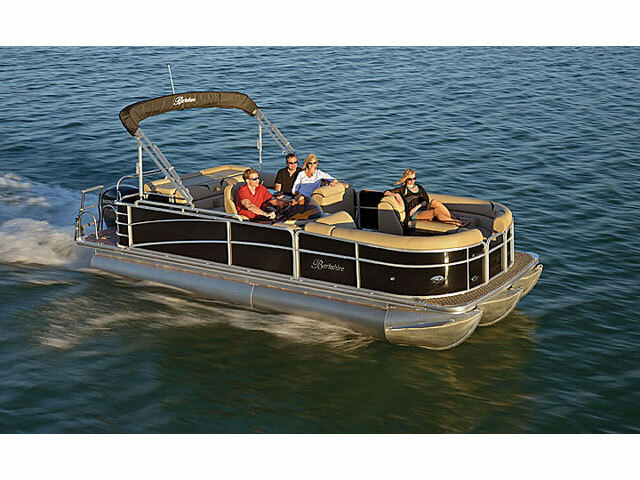 Styled with luxurious upholstery, contemporary rail design and high end amenities. Stand Out Features: Fiberglass Console with Raised Royal Mahogany Dash and Steering Wheel, Exterior ‘D’ Rail with Full Color Panel Skin, Royal Mahogany Table w/Stainless Steel Table Base, and Recessed Docking Lights. 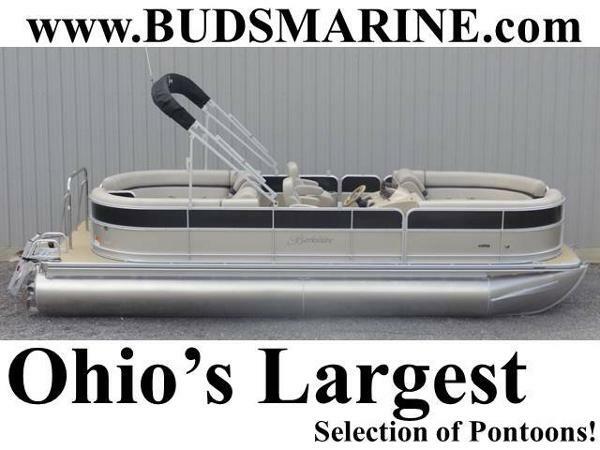 2009 Berkshire 260 CL Here is a 2009 Berkshire 260 CL Pontoon boat. 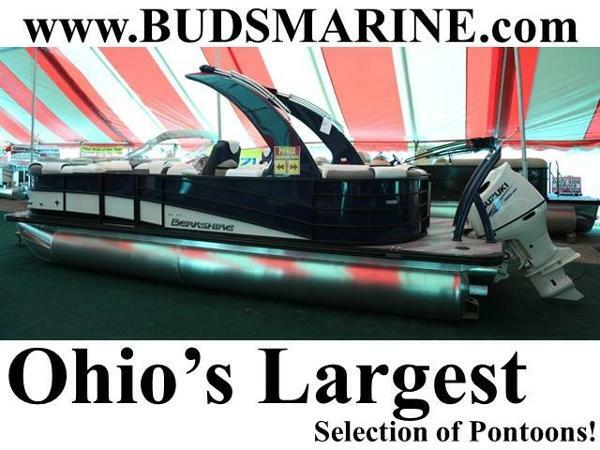 This unit is 26 feet long and has more than enough room to take the whole family out onto the water for a day of fun. 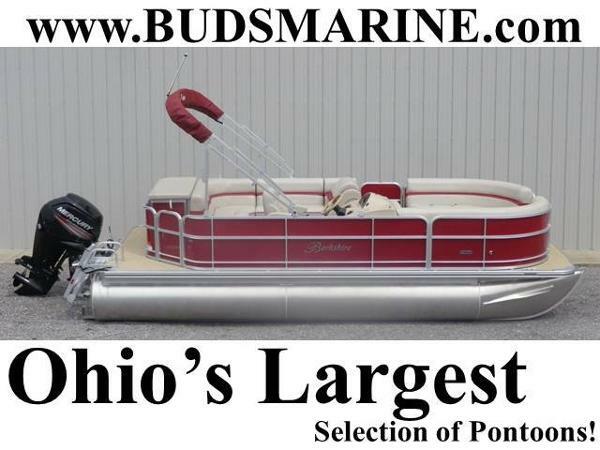 This pontoon comes with a GPS fish finder for getting water depth, temperature and location. 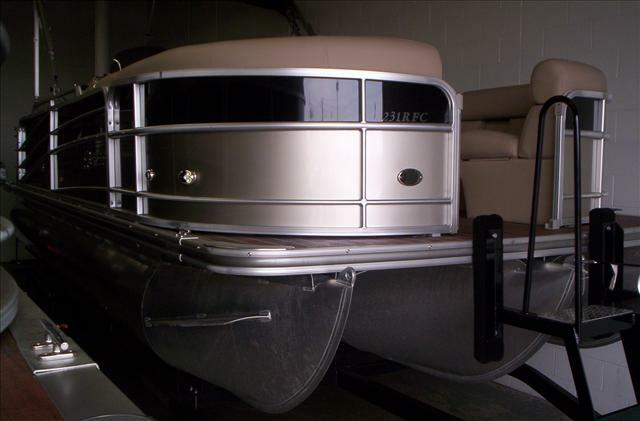 It also has a ski tow bar, tandem axle trailer with brakes, newly installed sea weave flooring and is powered by a mercury 115 4-stroke with a stainless steel prop. 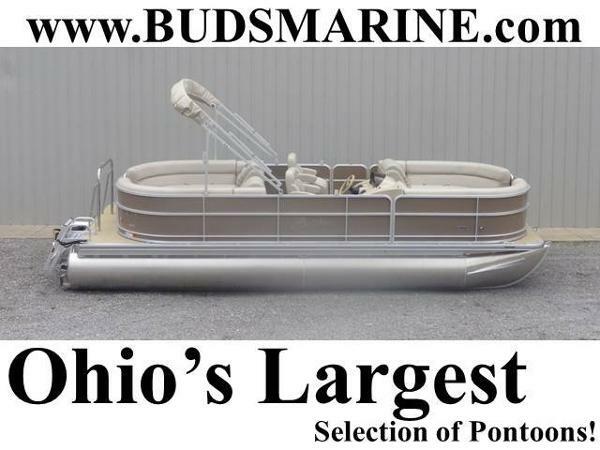 This unit wont last long so please come see us or call us at (937)-382-8701 with questions and availability. 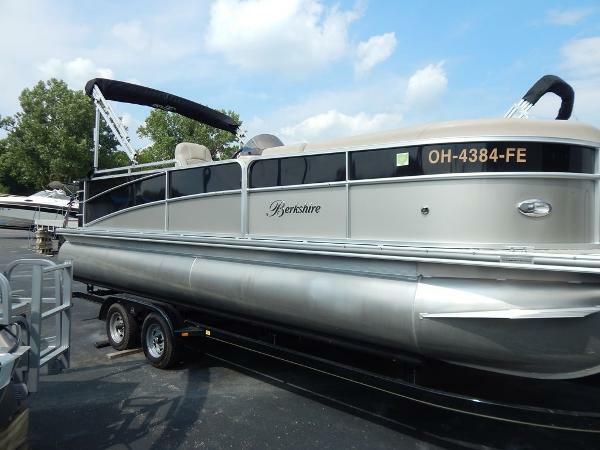 2013 Berkshire 230 CL STS BP1 This 23 foot tri-toon is nice! 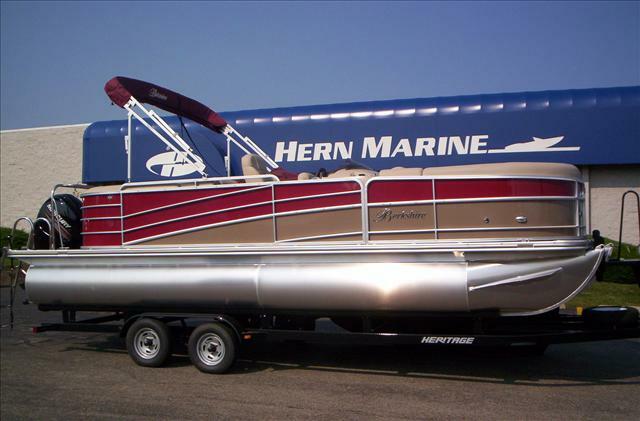 It has a 150 hp Mercury 4 stroke engine with LOW HOURS (87.4) and a tandem axle trailer with brakes. 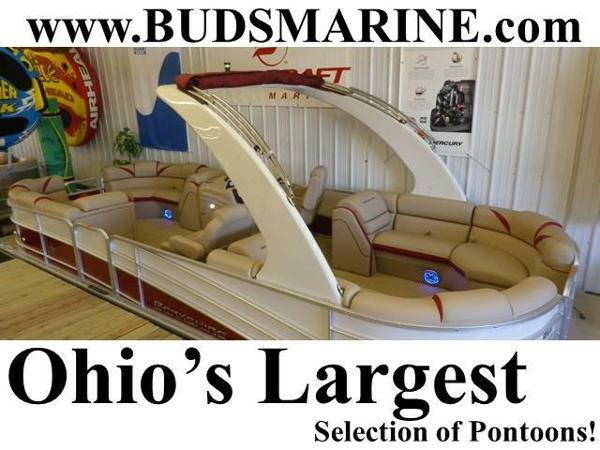 It features a bimini top, captain’s chair, stereo, playpen cover, tilt wheel and a fish finder/depth sounder. It is in great shape and very roomy and comfortable. 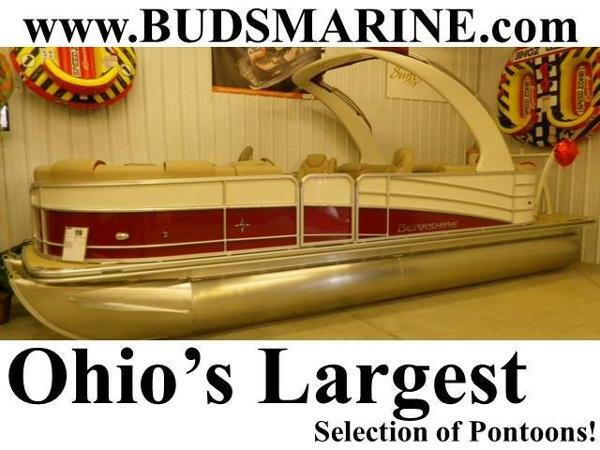 If you want a tri-toon boat with big horsepower under $30,000, take a look at this one! Call or e-mail us for details! WE WILL CONSIDER ANYTHING IN TRADE! 2016 Berkshire 200 Please call or email for information. 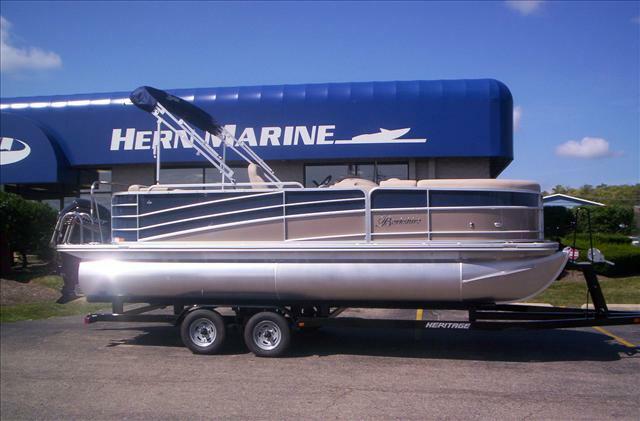 2016 Berkshire B224RS Please call or email for more information. 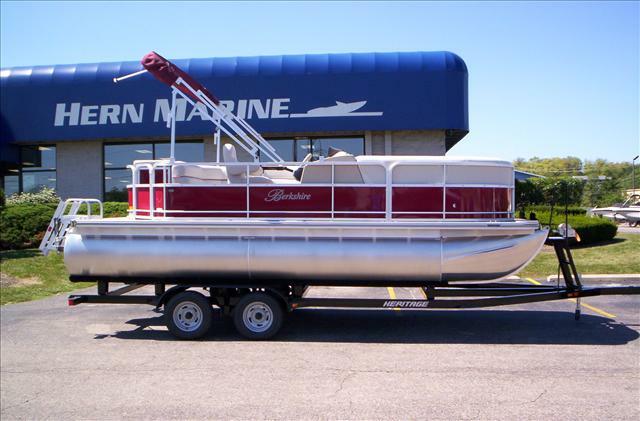 2016 Berkshire B220CR Please call or email for more information.